Reviews from Sundance of two NEXT features to look out for, "Lemon" and "Menashe." A review of FX's new comedy, "Baskets." 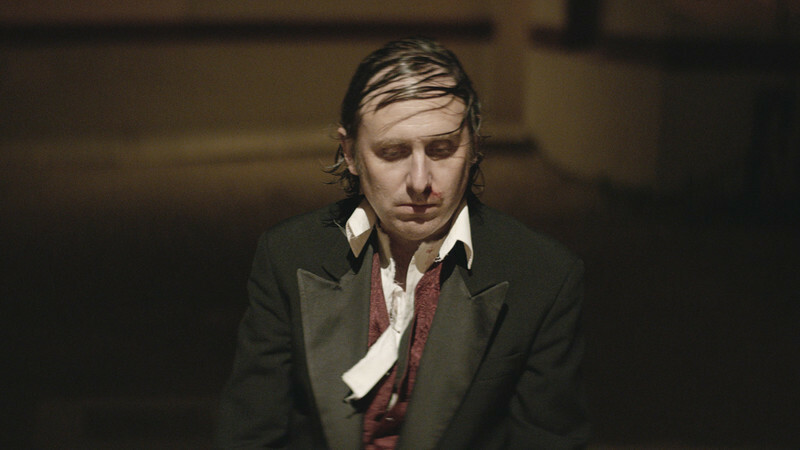 Under Attack by Bad Art Constantly: Gregg Turkington on "Entertainment"
An interview with actor/co-writer Gregg Turkington about "Entertainment." Now available on demand via iTunes, Vudu, Amazon Instant and various cable systems. Opening Nov. 23 at Facets Cinemathqeue; playing around the country. It begins with a slow motion party of a bunch of middle aged men in assorted levels of grimy undress, dancing and spitting a few feet short of a drunken stupor. That unhappy first scene makes it clear that Rick Alverson's 2012 film "The Comedy" is not one. It seeks to be the inverse of everything. In nearly every scene, our characters try to offend everyone, including ourselves, with their comments on life, packaged in the most abrasive rock salt. Not for any other reason, but pure boredom with life.